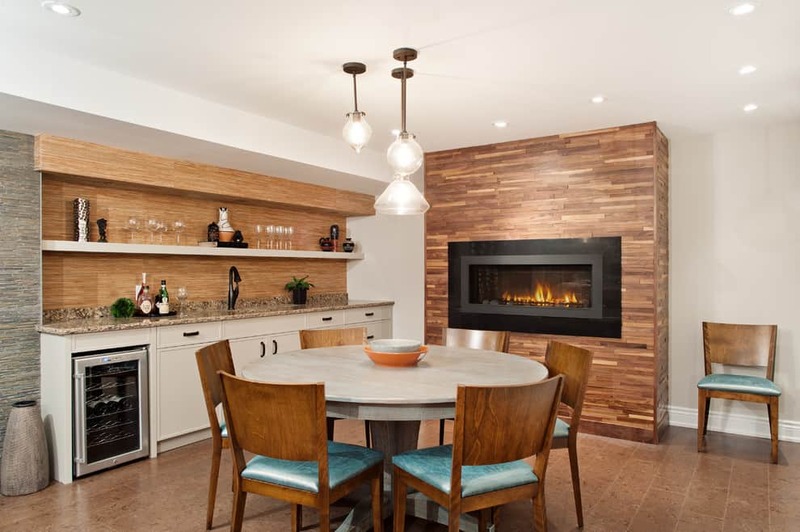 There are a lot of interesting fireplace remodel ideas and if you are looking for the best ones that will fit your home, then read on for some great ideas. Going back a few decades, most homes in cooler climates had a large fireplace. It was one of the central visual points of the home. But with all the technological and power advances, we’re giving our fireplaces significant makeovers. Modern makeovers involve replacing our fireplaces altogether and going for a more contemporary choice. Before you jump into a full-on fireplace makeover, take a minute to think it through first. Firstly, make sure your fireplace is in good working order. Next, look at are the fireplace trim, mantel and the inner walls of your fireplace. Are there any loose bricks, cracking components and the accumulation of dirt and grime? Clean it out. If your fireplace’s inner lining is covered in creosote, when you should burn a cleaning log or hire a chimney sweep to get it cleaned off. You could be better off hiring a professional fireplace maintenance contractor to inspect, clean and repair your fireplace inside and out. After your fireplace is clean and repaired, you are now ready to remodel. One of the is applying a new coat of paint. This could be painted to match your wall color or an eclectic color that will make your fireplace stand out. Paint from the inside and out and don’t forget to paint your mantel too. Don’t forget the Mantel Makeover too! 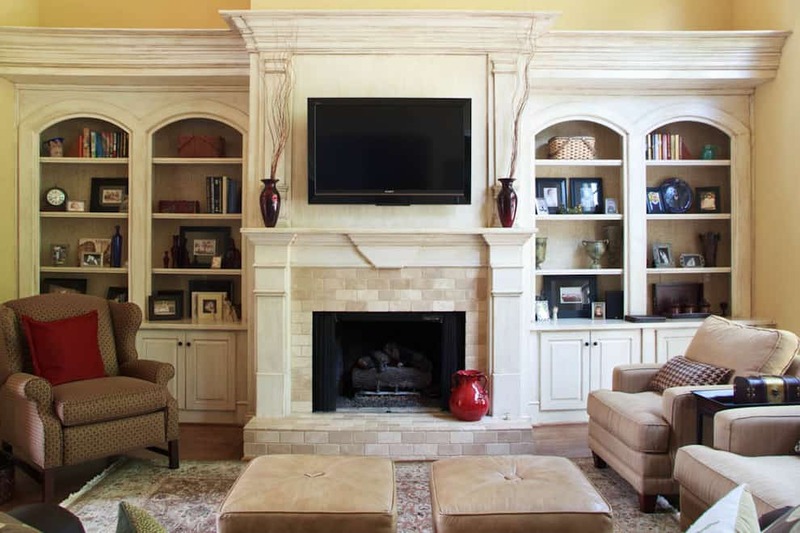 Mantels can add size and volume to the fireplace. Remodeling your fireplace mantel is easy. Often wooden, you can paint a mantel in any color with any finish. Their shapes range from simple arches to ornate and detailed shelves. A prominent mantel also provides space for decorative items like candles, photo frames, mirrors, and clock pieces. Use tall vases filled with colorful flowers. Or set an enormous and elegant mirror on top of your mantel. As they say, mirrors make the room look bigger! If you love to read, then you can place a few books that you personally love on your mantel. If you love soccer then this could be a great spot to feature a framed photograph or a rare soccer ball collection. Your mantel can reveal a lot about your personality and so you can make the most of it. Fireplace accessories will also make any old fireplace look just like new. 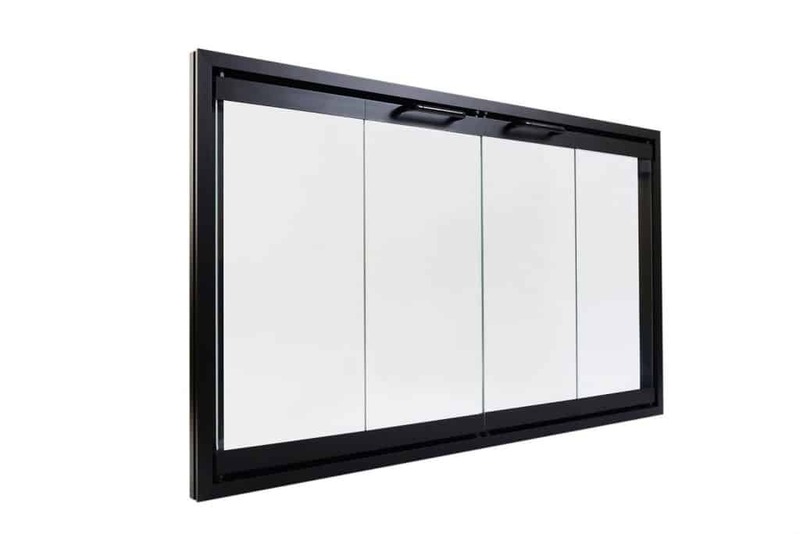 Choose a modern fireplace screen. There are so many different shapes, sizes and designs of fireplace screens and it may be hard to find one. Measure your fireplace before you buy a screen. It should cover the entire opening of your fireplace. 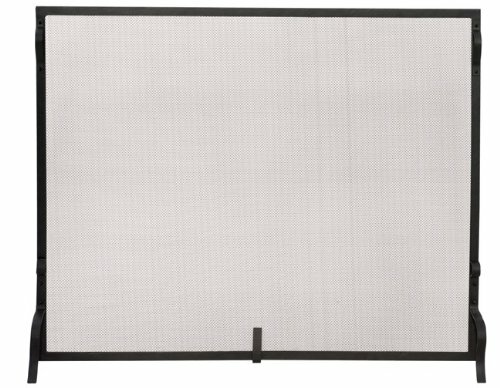 Screens are not just ornamental pieces but will also protect you from burns and indoor smoke. These fireplace remodel ideas are all easy to do. They will work magic on your old and rundown fireplace. A makeover to your fireplace can transform an entire room or floor of your home. It’s often a large job that makes a lot of mess and demands a lot of time and patience. 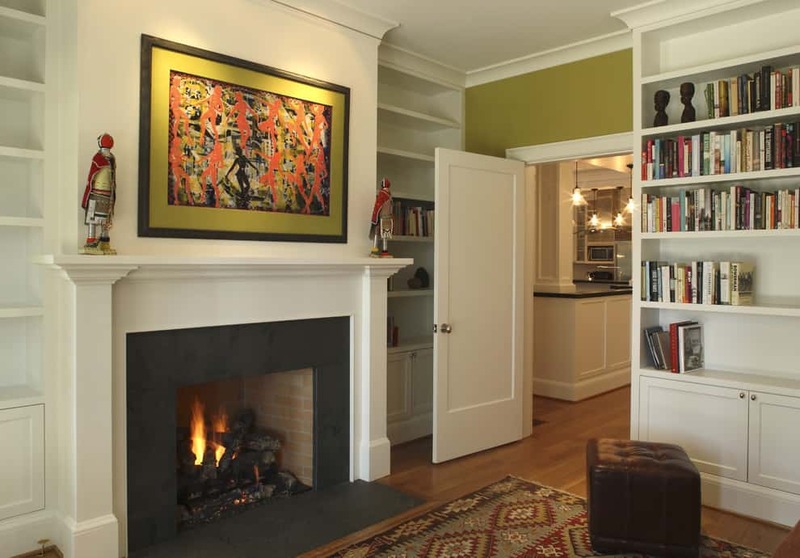 The effect of a fireplace makeover can be so dramatic that the pain and effort is worth it. Once you’ve committed to your fireplace makeover, it’s your job to choose the best surround material. It should be one that’s stylish and complements the rest of your home décor. 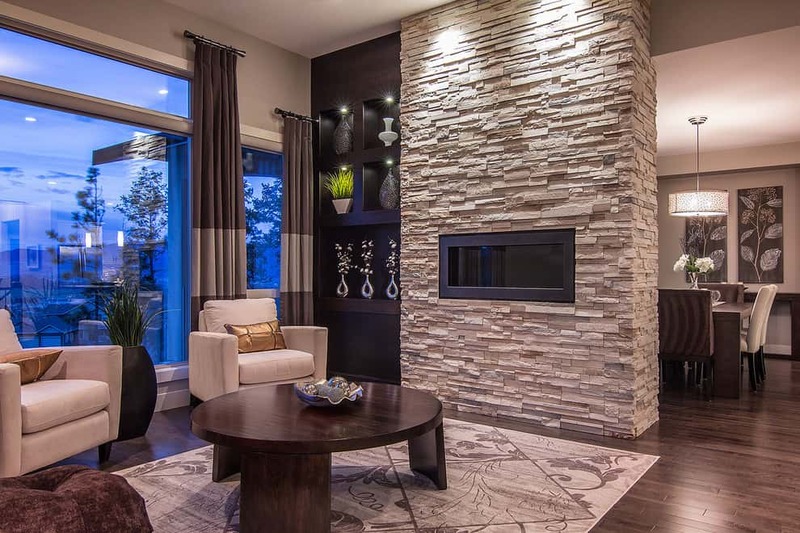 Slate is a fine rock made up of other rocks, such as quartz and granite, which gives it a unique and stunning look that is ideal for fireplace surrounds. 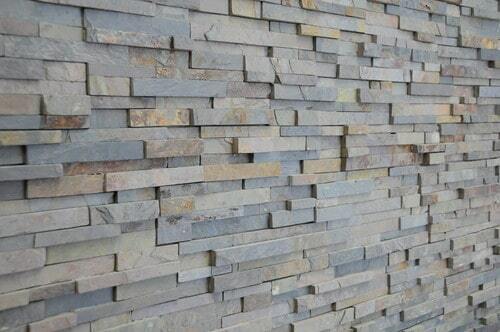 The color can vary depending on the composition, but most slate rock is a neutral grey shade. Sometimes it leans towards brown, green, or blue. It has a matte finish, but with a certain glittering quality when it catches the light. The neutral shade of grey makes slate a perfect choice for rooms requiring a balance of warm and cool tones. It’s also great for a bold color palette that needs diluting or muting. If you’re considering adding a slate fireplace into your home, make sure you bring a sample home to test first. The distribution of light in your home can differ vastly from the showroom or from a photograph. More light won’t just make the slate look lighter, but it will increase the glamorous sparkle. If you’d like to keep this sparkle to a minimum, opt for darker mood lighting in your home. Slate is having a style renaissance now and is becoming more popular for its strength in contemporary home décor. Slate can be worked into sharp, clean lines to create minimal and unusual shapes with a sleek and modern feel. The last emergence of slate fireplaces was during the Victorian era when slate was a luxury material used for creating fireplace surrounds. This style is still popular today for period style homes and people hoping to add a bit of elegant and antiquated charm to their living space. When it comes to slate fireplace surrounds, it’s a choice between contemporary smooth or rough and rustic. If you can’t quite approve the investment of time and resources into installing a brand new slate fireplace into your home but you adore the style, consider adding a simple slate hearth to your home. This will underline your fireplace and still give you the cool, grey slate look in your home, but in a form that is easier to install. A slate hearth is also a fantastic way to see how you like slate materials in your home before making a larger investment. The hearth is essentially the floor of the fireplace. It was traditionally inbuilt to catch any ashes from the fire and protect your floor. Since fireplace design has become much cleaner and efficient, hearths are now a design element. They are often made of stone. But you can get creative and use tile, granite, marble, and quartz. They add more size to the fireplace and add a contrasting base to the room’s floor area. Whether you have a prefab fireplace or a masonry fireplace, sitting in a room with a crackling fire on a cold night melts the heart of every romantic soul. There are a few differences between these two types of fireplace. Some factors may affect the desirability of each kind depending on your personal preferences. Anyone who is building a new home or remodeling an old one should know the important aspects of each type. The most distinguishable difference between the two is their structure. A masonry fireplace is attached to one of the walls. It can be built at the same time the house is constructed or added during a remodeling project. They are made of brick and mortar. Masonry fireplaces are significantly more expensive to build and maintain than prefabricated ones. This is because they are part of the building’s structure. Prefab fireplaces are built in a factory. The most common materials used in building a prefab fireplace are metal and glass with insulated walls. Prefabricated fireplaces still require a chimney cap to keep foreign objects away, but it already comes with the price. 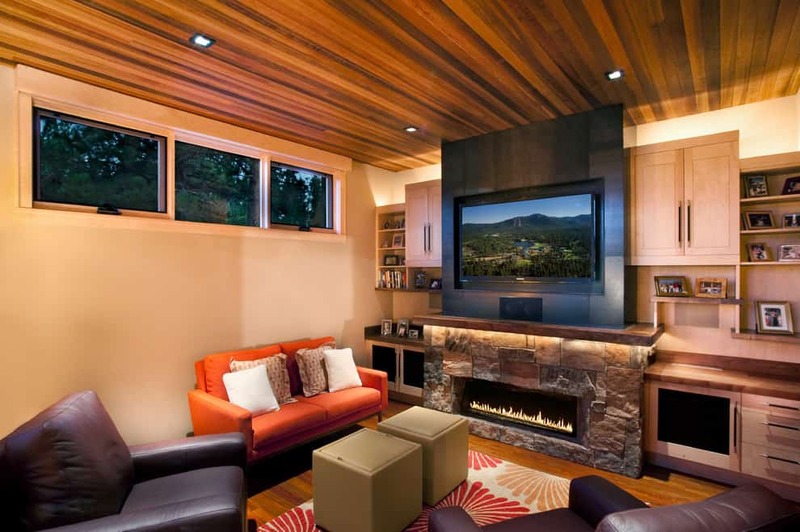 A prefab fireplace is cheaper than masonry, but won’t last longer than a masonry fireplace. A masonry fireplace can last up to a hundred years while a factory-built fireplace may need to be replaced after 40 years. The cost and structure of a fireplace may not be as important as its efficiency. Between the two types, prefab fireplaces burn hotter. Masonry fireplaces don’t provide as much heat to the house because most of its heat is discharged through the chimney. Most prefabricated fireplaces are built as smoke-free appliances, so it makes them a great choice for green-living supporters. Installing a fireplace, whether masonry or prefabricated, is a big decision to make. Careful consideration is needed before choosing the kind that will work best for your family. Both prefab fireplace and masonry fireplace are safe, provided that you take proper precaution when using them. What you have to consider when making a decision are their differences in structure, cost, and efficiency. You also need to decide according to what your needs are in terms of design. 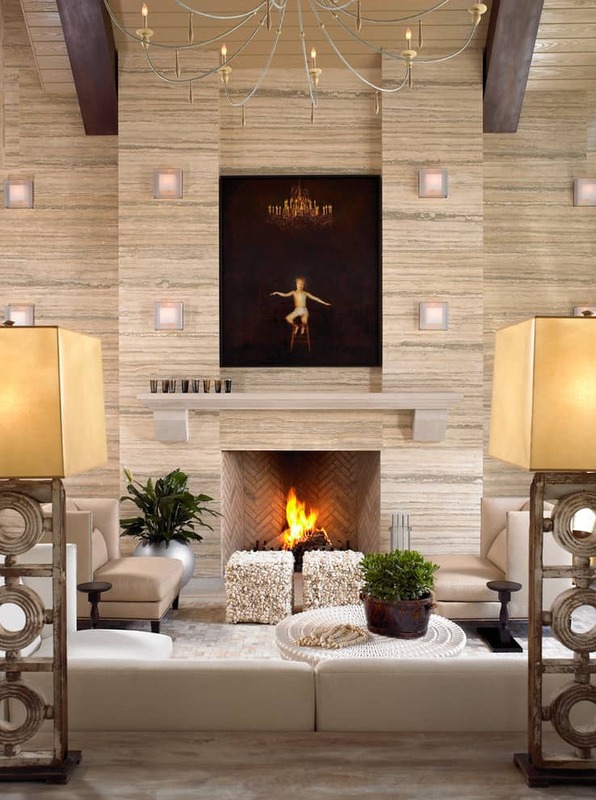 Contemporary fireplaces have sleek and stylish designs. Most are simple, require few accessories, and are made to look like they are just a part of the wall. 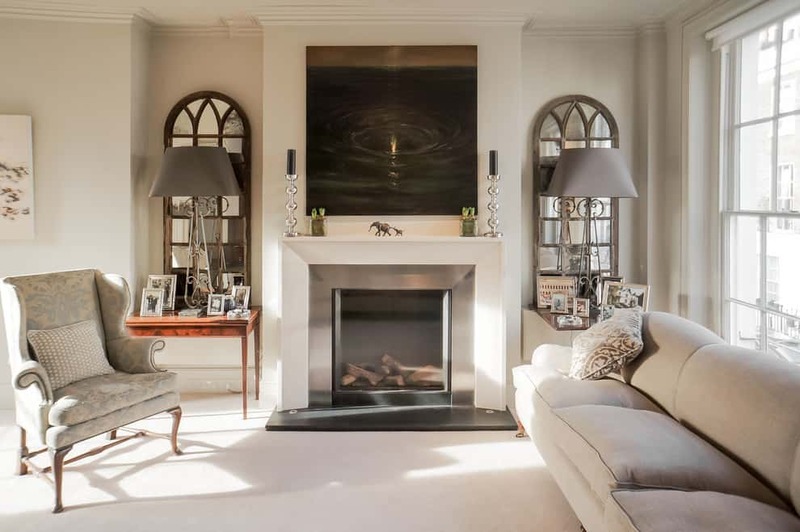 Fireplaces with a contemporary design work well with a modern style room. 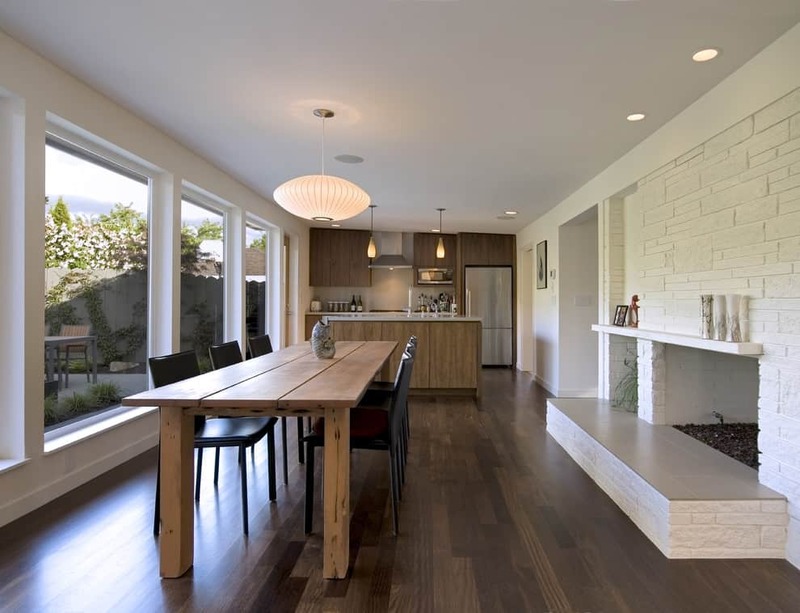 One of the most popular contemporary designs is a fireplace powered either by gas or electricity, which is built into the wall or simply hung on the wall. There are no mantles to place knick-knacks on, there is no hearth in front of the fireplace, and there are no dramatic finishes either. All you have is a clean, well-finished design that makes any room look modern and stylish. Another contemporary fireplace design is one that seems to be placed in a cross-section of a wall. This design is not new and in fact, it may even create a retro feel. The fireplace is used to divide a large room by creating a huge feature in the middle. The design is a striking one considering that the fireplace is found in a very unusual location. This design does more than make any room pretty and stylish. Since it is sitting in the middle of a room, it efficiently distributes heat all around the room! Again, this contemporary piece does not have a mantle or hearth, creating a clean and seamless design. A great idea is an Indoor Firepit! Why settle for a small fireplace when you can have an indoor fire pit! A large and intimidating fire pit sits in the middle of a large room and is filled with fire rocks. This system is powered by gas which makes it energy efficient too. It is least likely to bring dangerous particles and smoke inside your home. The fire pit is filled with rocks or stones of your choice (there are stones of different colors and shapes). When lit, it creates a beautiful glow all over your room. This fireplace can be any shape but the most common design is a round one with a seamless and clean finish all around. If you’re looking for outdoor fire pits, check out this post. From a design point of view, electric fires also opened up the way that we can design our fireplaces. 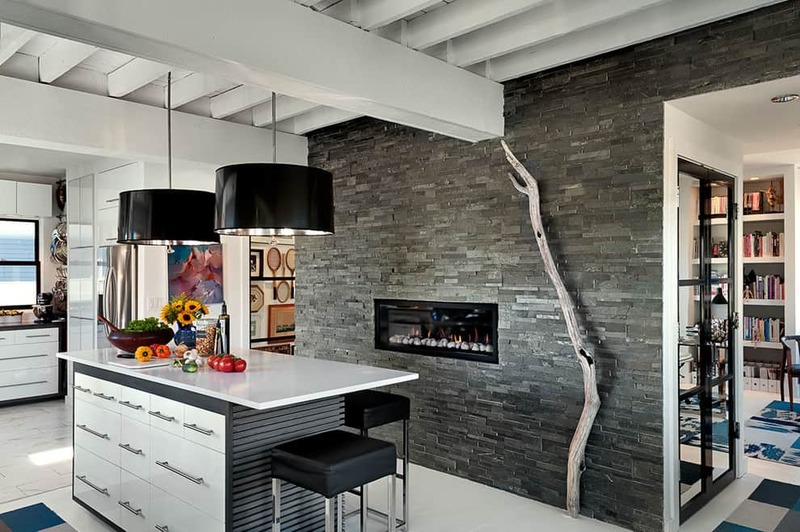 Wall-mounted fireplaces are popular today, contributing to a very minimal and contemporary style. Mantelpieces and hearths usually left out with these types of fireplaces. Electric fireplaces also reduce the demand for an actual fire. Instead, they provide electric heat combined with visual effects that look like fire. It’s much better for the environment and our homes. Electric fireplaces are also easier to move within our homes and are much more efficient to install. With a linear fireplace, modern homes can enjoy the warmth of a traditional fireplace without compromising on the design. 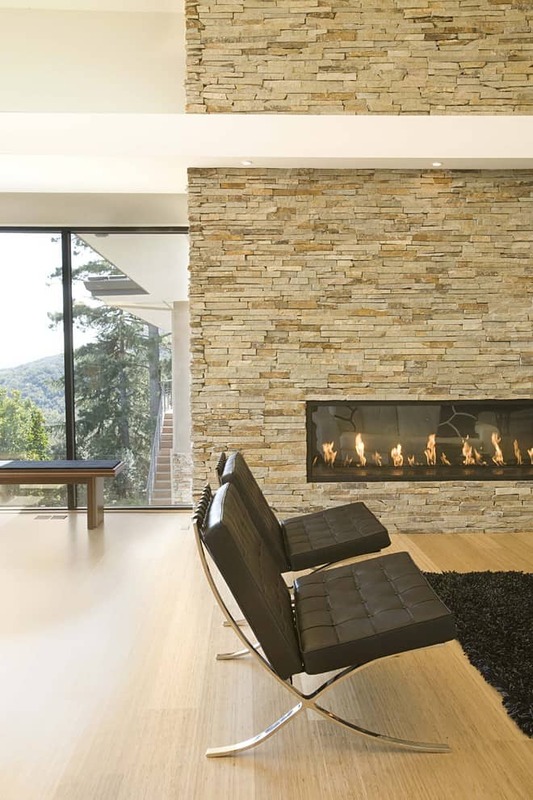 A linear fireplace is preferred by most homeowners because it shows a wider view of the crackling flames. 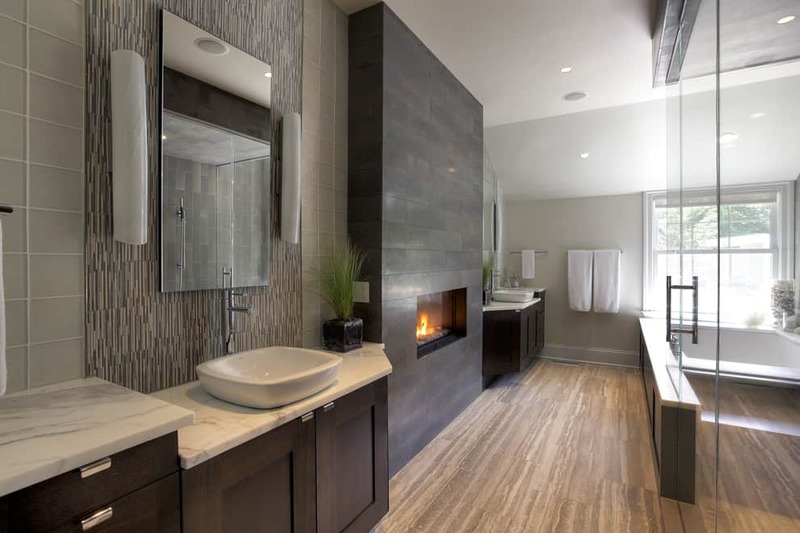 There are many other things that make linear fireplaces desirable. Let us discuss them one by one. 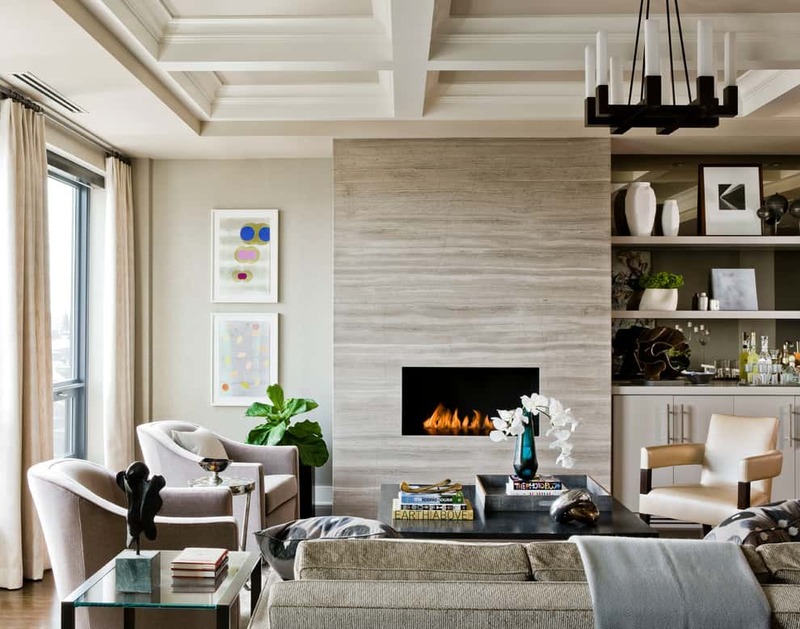 Because of the variety of their designs, linear fireplaces can be placed in many parts of the house. They are usually placed in common areas like the living room and the dining area. But they are also placed in many other rooms like kitchens, bedrooms, basements, and game rooms. 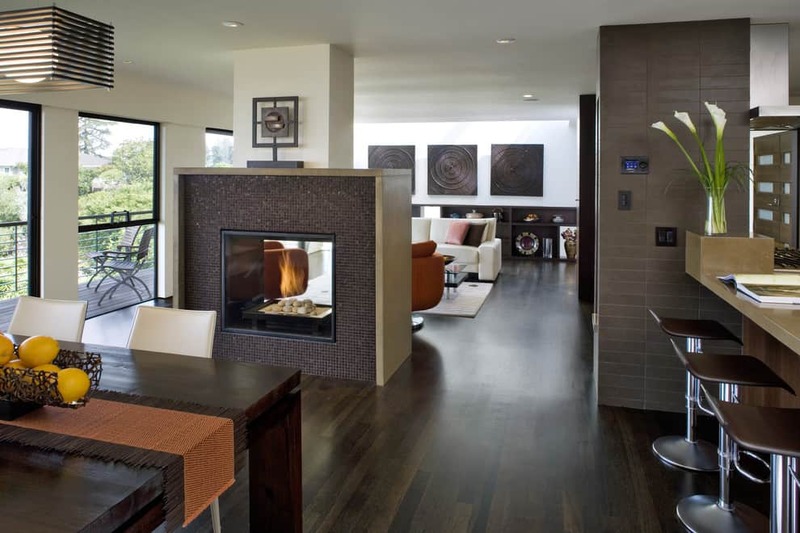 Some homes even have a linear fireplace in two or more different spots. With traditional wood-burning fireplaces, you need to chop and stock up on firewood to keep them running. But a linear fireplace looks elegant in a modern room. It doesn’t need any complicated procedure to start and keep it running. Some of them can be turned on or off using a remote control. Some have on-unit switches, while some more advanced models can be operated using a mobile phone app. A linear fireplace is also more convenient than its traditional wood-burning counterpart. Wood burning fireplaces give off a lot of dust that needs to be cleaned up regularly. 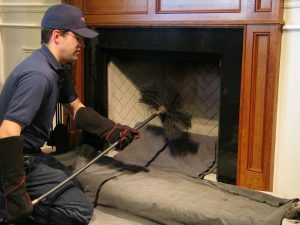 You also will need to hire a professional chimney sweep to clean off creosote from a wood-fueled fireplace. To maintain the efficiency of a gas fireplace, you only need to check the firebox and the vent occasionally. You should also inspect the gas lines periodically for leaks. 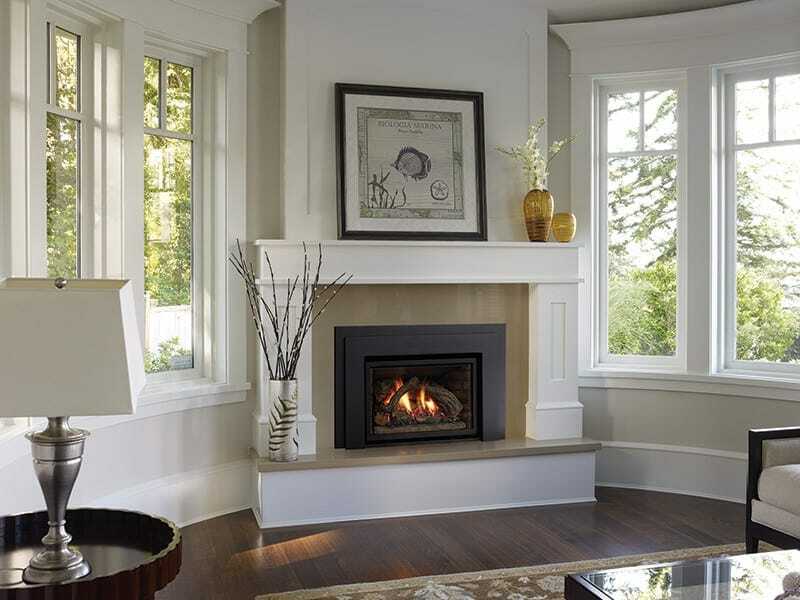 With linear gas fireplaces, there is no open flame so your home is less likely to catch on fire. Because we are leading busy lives these days, it is necessary for us to be able to relax and unwind at home whenever we can. Many homeowners do not have the luxury of time to clean and maintain a traditional fireplace. Even a few minutes of chopping wood is too much time wasted which you should instead be spending quality time with your family. Why waste your precious time with traditional wood-burning fireplaces, when you can enjoy the warmth of fire with just a single push of a button? 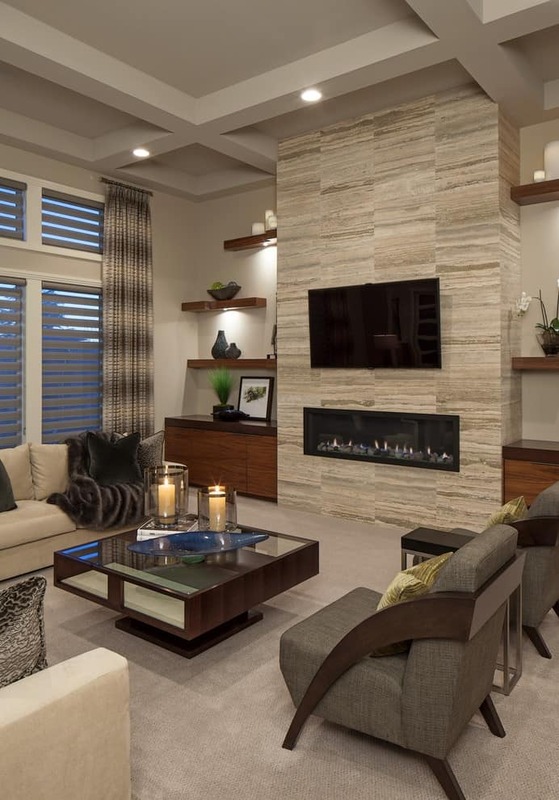 With a linear fireplace, your home is cleaner, more elegant, and more enjoyable. 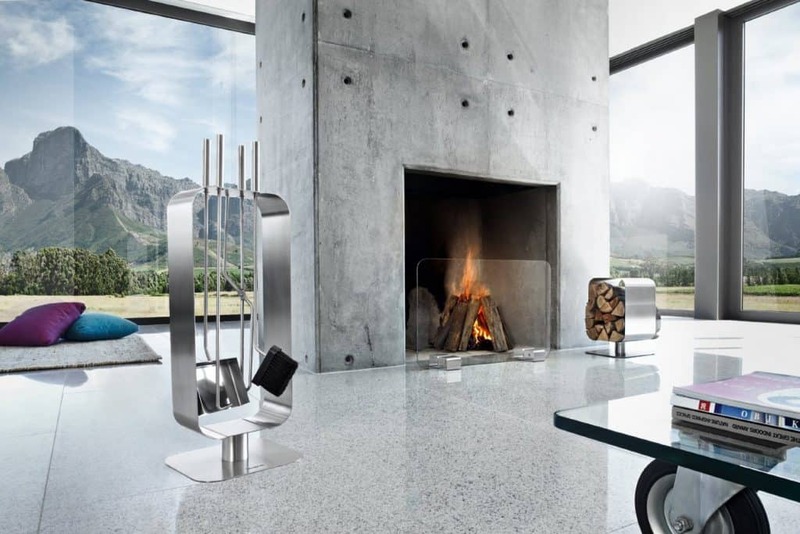 There are so many more contemporary fireplace designs to choose from. 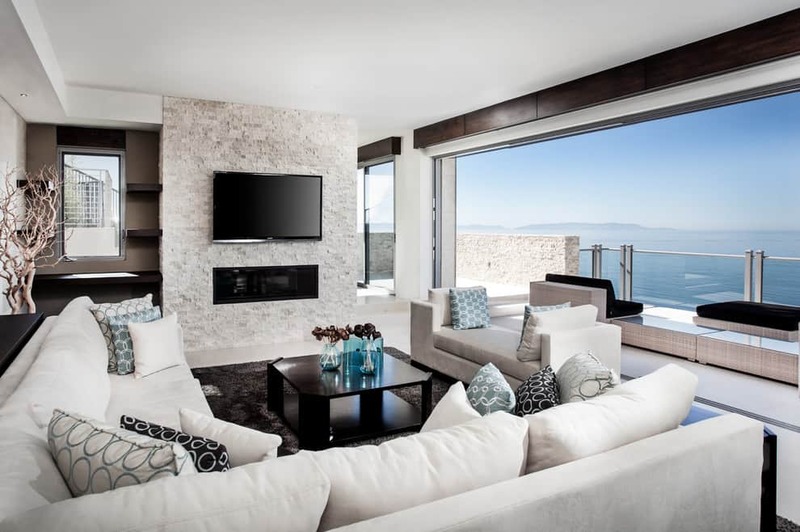 From drop down fireplaces, fireplaces on marble or granite walls and many more. You can even create your own contemporary design and have an expert construct it in your home. 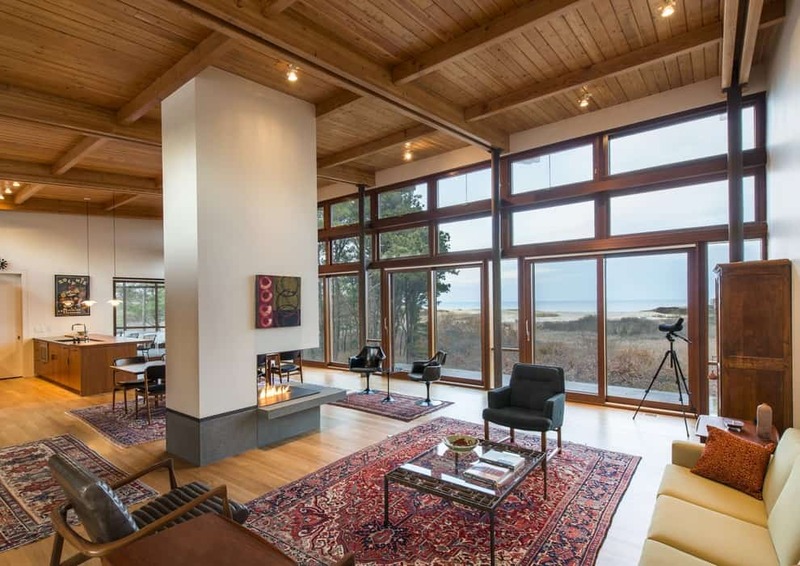 Those linear fireplaces look great! I’ve been browsing for linear electric and gas fireplaces.